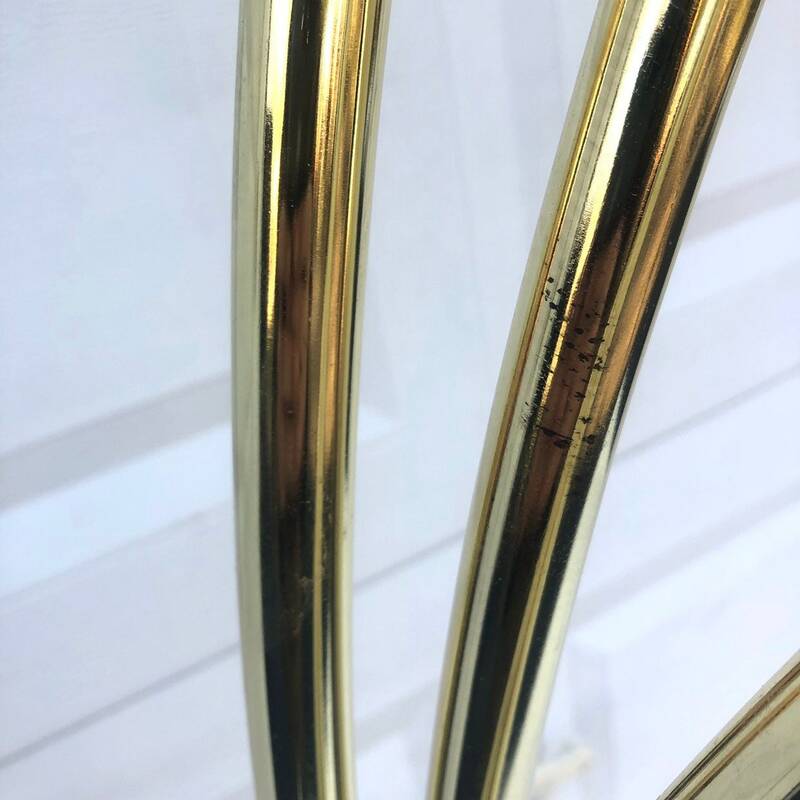 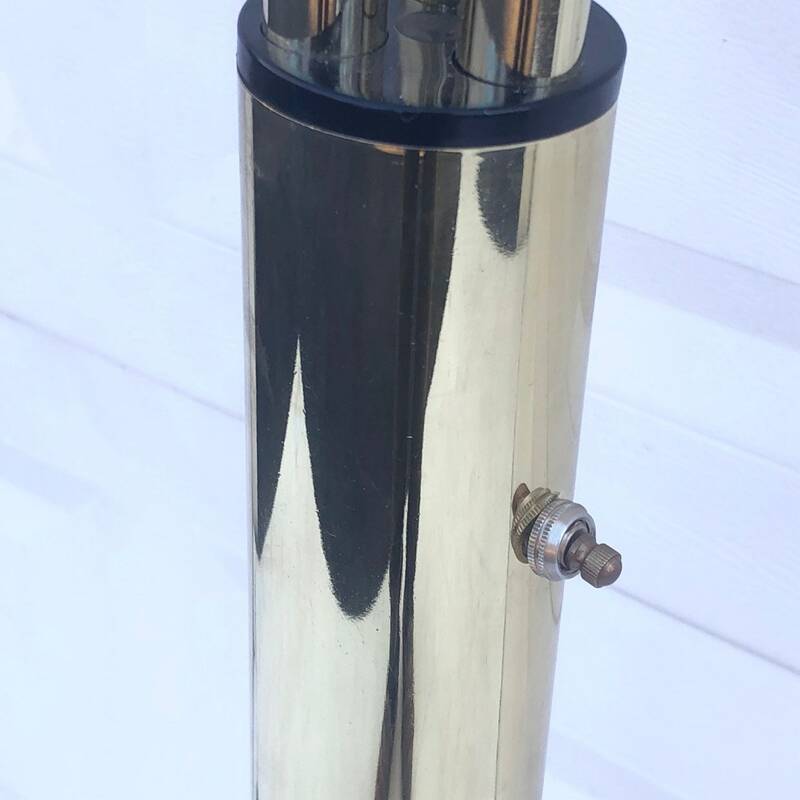 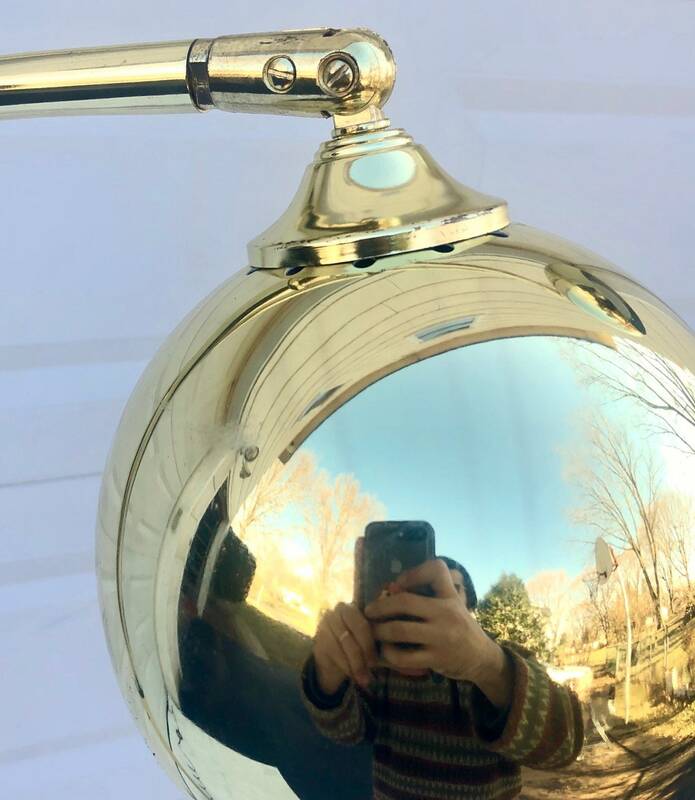 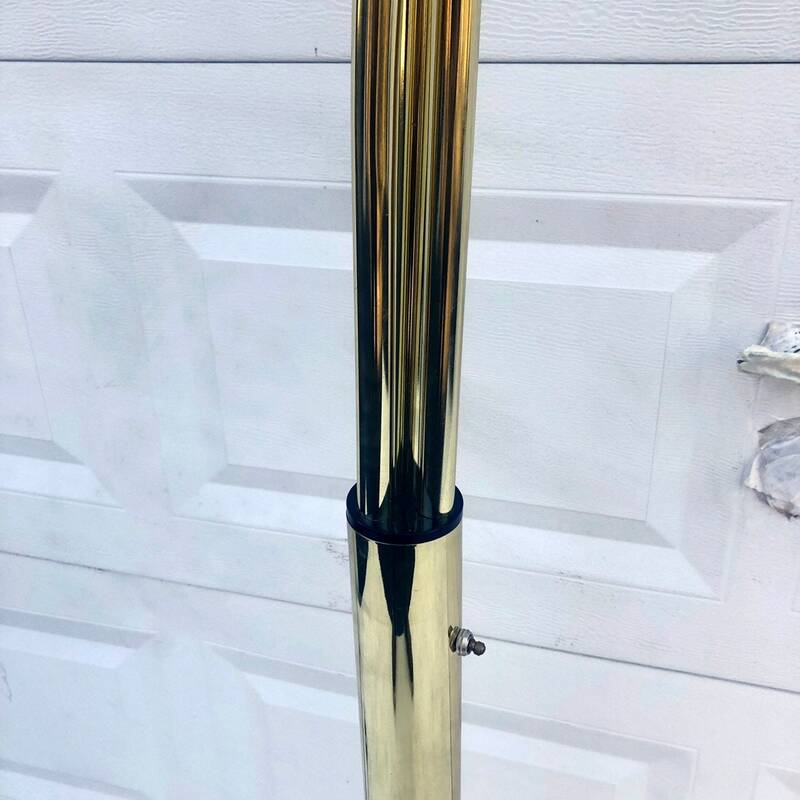 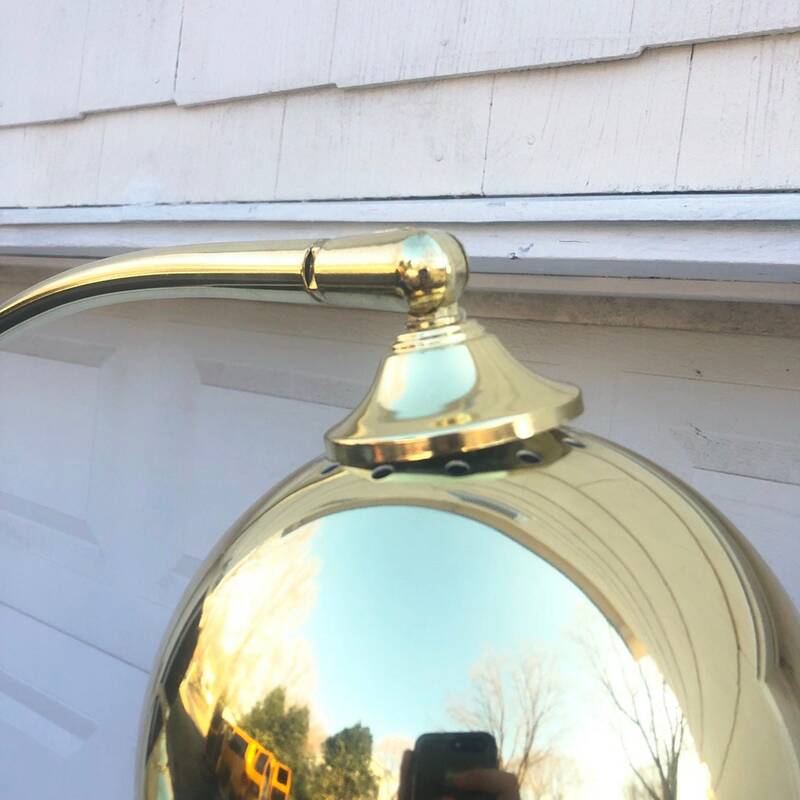 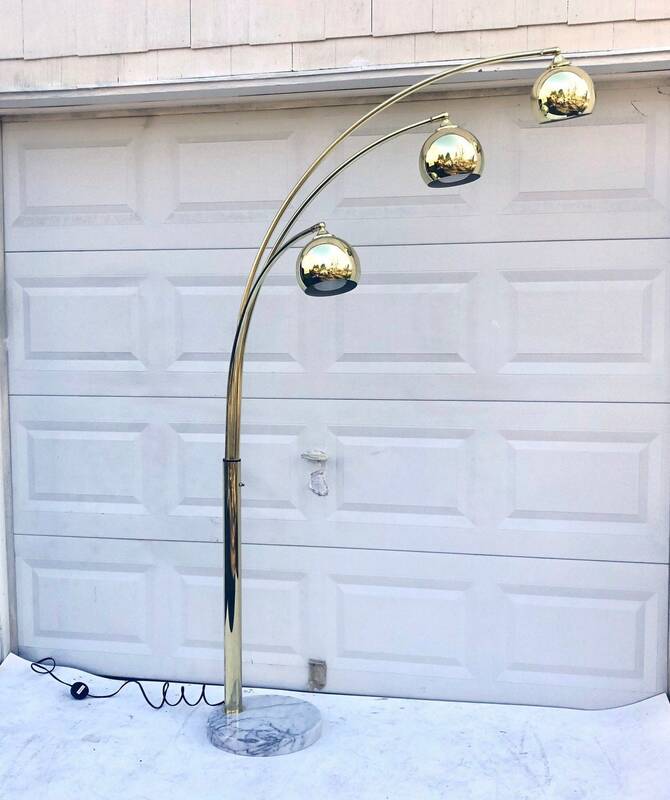 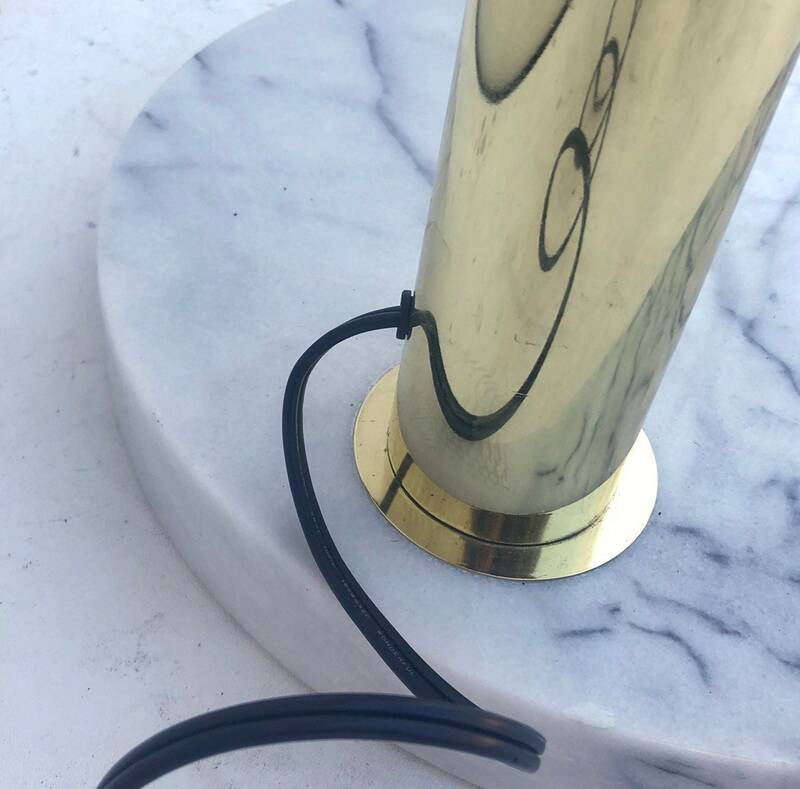 This vintage modern floor lamp features heavy marble base, stylish brass finish, and unique arc design. 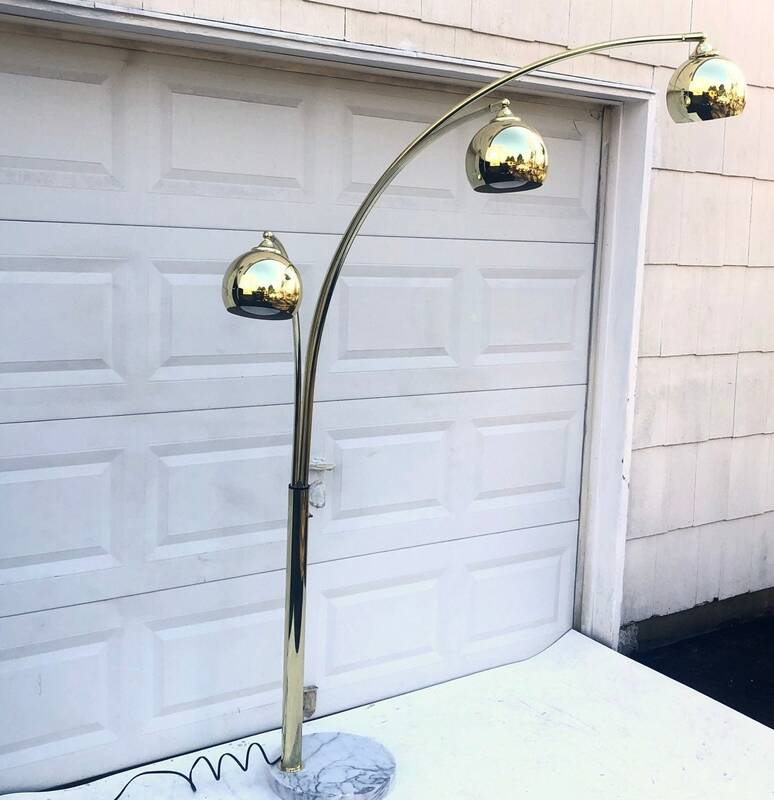 The mid-century globe style light fixtures add to the striking appeal of this versatile standing lamp. 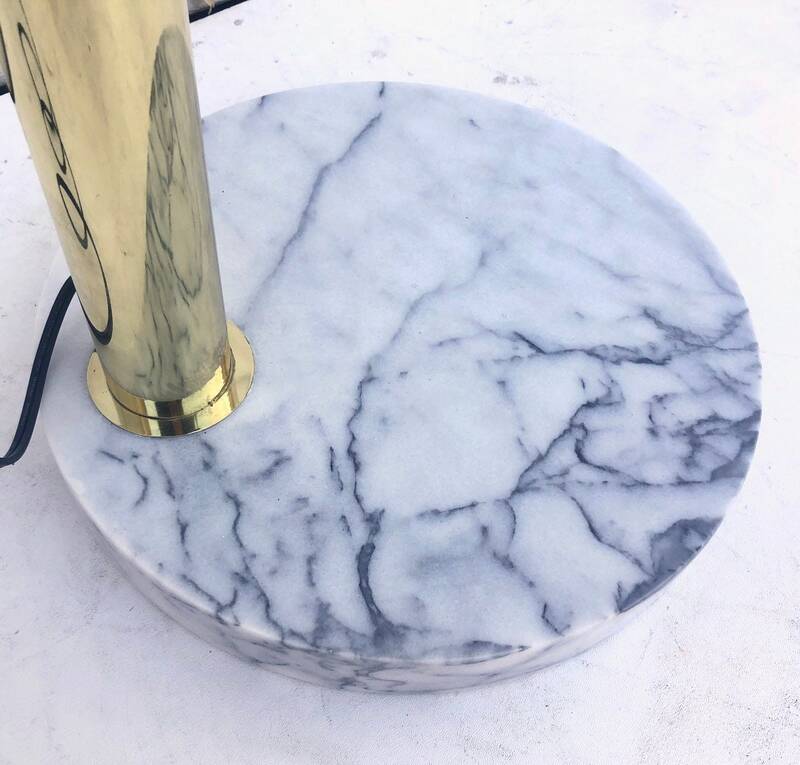 A striking statement piece for home or business setting. 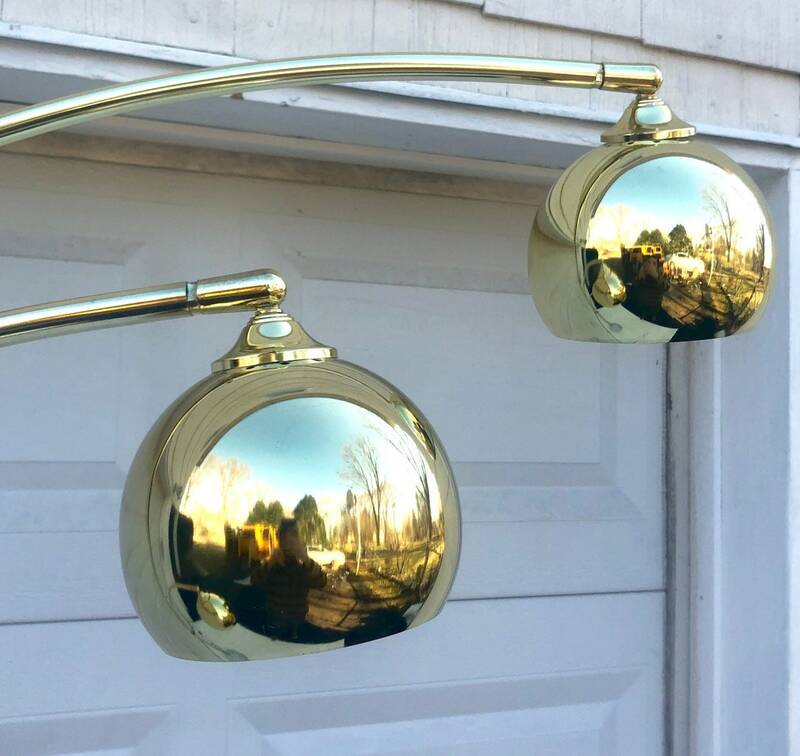 Condition: vintage finish worn in areas, switch wiring in need of repair, some scuffs/oxidation/finish wear.